In large bowl, mix apples, pears, celery, raisins and dates. Serve salad on lettuce. Garnish with walnut halves. 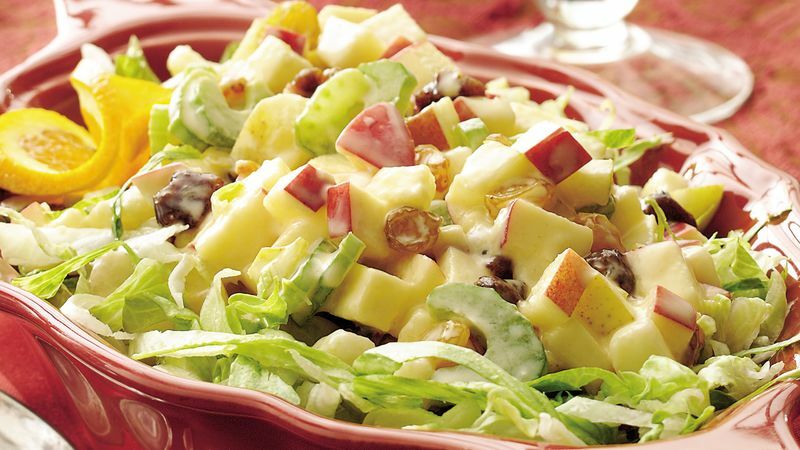 This refreshing salad is perfect for a holiday meal. Serve it in your prettiest glass bowl, and garnish with orange peel curls. You can substitute or add regular raisins or dried cranberries, if you like.